These are some of the latest cars, trucks and vans from the Big Apple's annual car show. 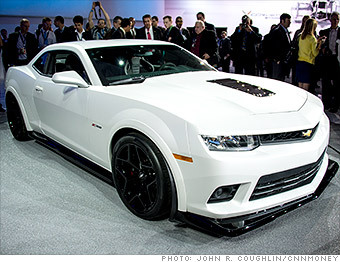 GM is bringing back the iconic Z/28 moniker on a track-ready Camaro. This one's got at least 500 horsepower and some serious attention to weight reduction. If you like music, other than engine noise, this is not your car. There's no stereo and even air conditioning is optional.